Item # 307870 Stash Points: 3,499 (?) This is the number of points you get in The Zumiez Stash for purchasing this item. Stash points are redeemable for exclusive rewards only available to Zumiez Stash members. To redeem your points check out the rewards catalog on thestash.zumiez.com. Get a subtle new cold weather look in the Empyre Refresh Color Block Grey & Black Half Zip Sweatshirt. 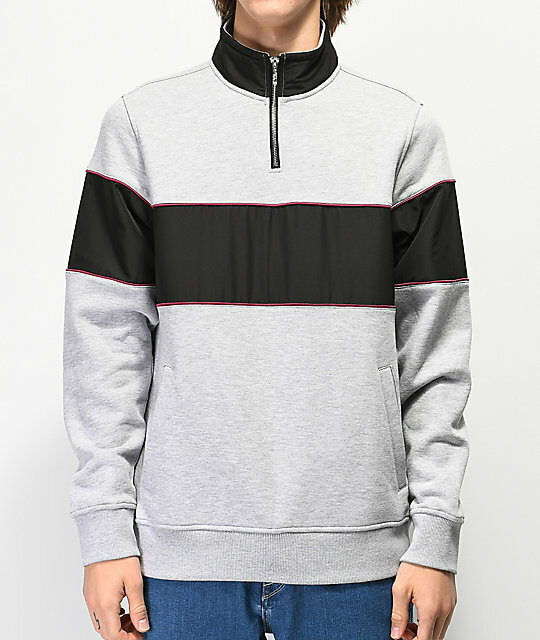 This half zip constructed pullover features black and grey color blocking throughout and burgundy piping between for additional color and flair. Fleece lined for comfort, this clean look is ready for any cold weather outfit. 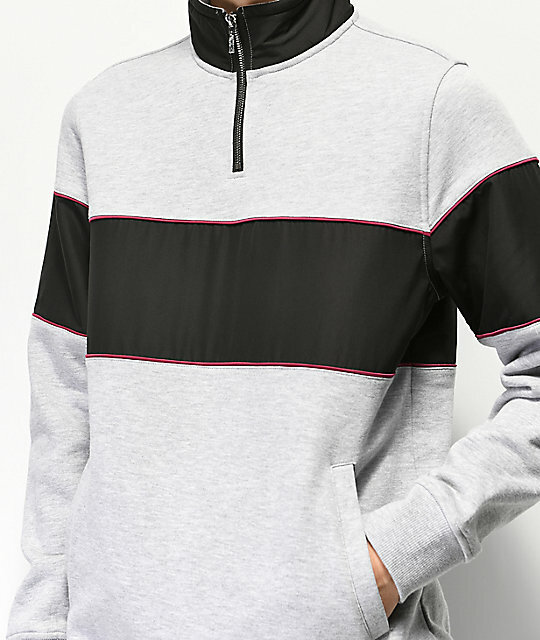 Refresh Color Block Grey & Black Half Zip Sweatshirt from Empyre. 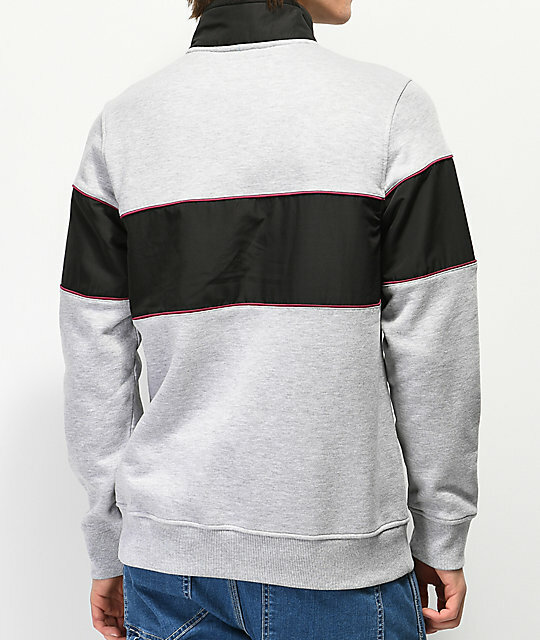 Grey and black color blocked construction with burgundy piping.